iPhone 6C Rendered by Kiarash Kia; Teased for Now! Apple may have launched the iPhone 6 and 6 Plus, but there’s always room for one more. That one is the iPhone 6C, that’s shown below and it’s rendered by Kiarash Kia. As you can tell, we’re only dealing with a teaser here and the full fledged design has yet to be launched. The designer seems to show us that we’re about to get a bright yellow version of the iPhone 6C, a mauve one and a bright cyan one. 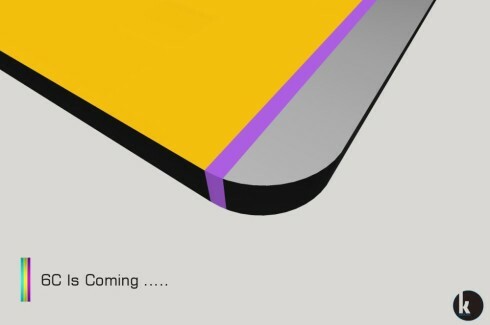 We can’t tell much else from the teaser, aside from the rounded corners of the device, its most likely plastic build and probably specs that are slightly updated from the iPhone 5C. I expect the specs of the iPhone 5s, maybe with a minus here and there and a more affordable price tag. An idea would be to combine the format of the iPhone 6, with the plastic case of the iPhone 5c and the specs of the iPhone 5s. That would gravely affect the sales of the iPhone 5s, but I guess it sold enough right? Would you buy the iPhone 6c? Samsung Galaxy S6 and Galaxy Edge Imagined by Jermaine Smit, Video Included! Sony Xperia Z3 Ultra Rendered; Move On, Nothing to See Here!